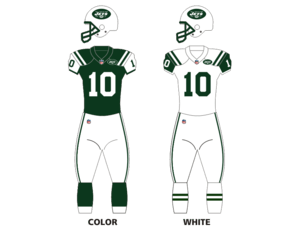 The 2002 New York Jets season was the 43rd season for the team, and the 33rd in the National Football League. The team tried to improve upon its 10–6 record from 2001. The Jets overcame a 2–5 start to finish 9–7 and won their second AFC East division title. After a heartbreaking 24–21 week 8 loss to the Cleveland Browns at the Meadowlands, head coach Herman Edwards gave his famous "You play to win the game" tirade in the post-game press conference. The mid-season debut of quarterback Chad Pennington helped lead the Jets to a 7–2 record down the stretch. After posting a stunning rout of the Indianapolis Colts by a score of 41–0 at the Meadowlands in the Wild Card round of the playoffs, they lost for the second year in a row to the Oakland Raiders, 30–10 in the Divisional round.